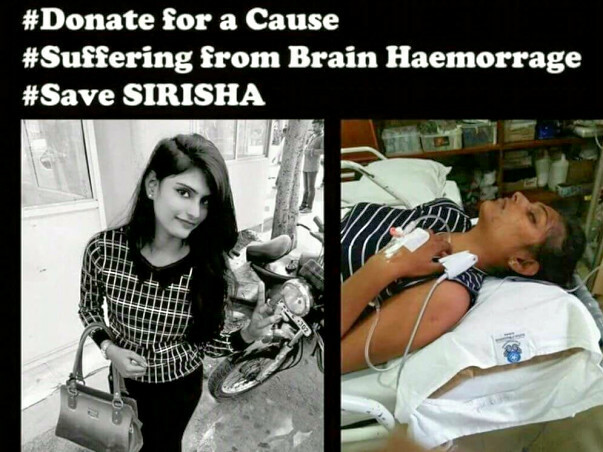 This message is to ask for some donation for my childhood friend Sirisha who is suffering from brain haemorrhage and has gone through multiple surgeries. 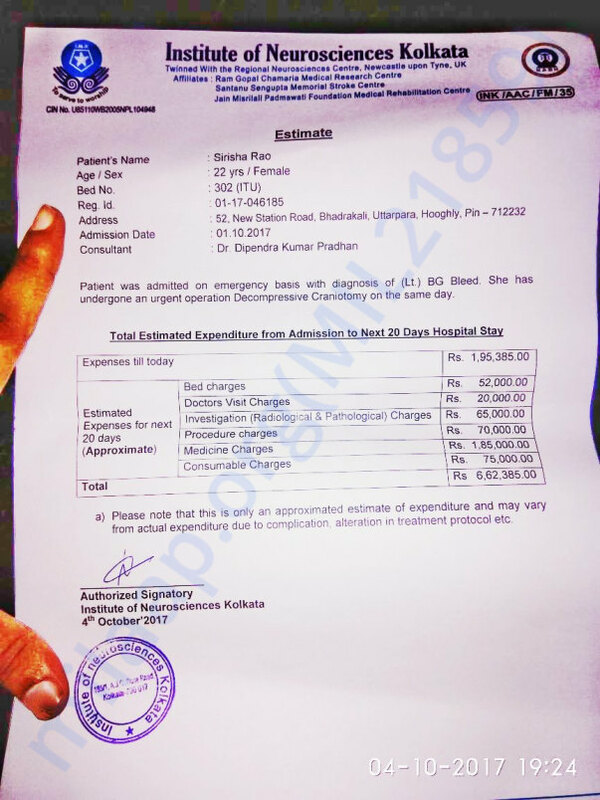 Her mom and dad are no more with them, just an elder sister is her whole family who cannot afford the expenses for her treatment. A single penny will do. Please help me help her in every possible way. Thank you for your concern and the help you provided by the donation you gave. Really appreciate your efforts. 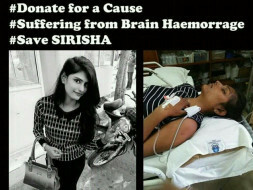 Sirisha has been shifted to general ward and is recovering. Pls pray that she gets well soon! !